A training programme that will develop Sefton’s next generation of fitness instructors is set to return for 2019. Developed by Sefton Council and part funded by the Department for Work and Pensions (DWP), Aspiring Instructors will help to improve the skills and employability for residents across the borough. Information sessions for the programme will take place at Crosby Lakeside Adventure Centre on Wednesday January 16, 10am and 1pm and Friday January 18, 10am and 1pm. The 16-week course is targeted at Sefton residents and designed to help get people into a new career within the sports and fitness industry. Set to begin in February, the programme will combine a mix of coaching and work placement with attendees’ receiving nationally recognised qualifications on completion of the course. Last year, participants gained over 118 qualifications between them. 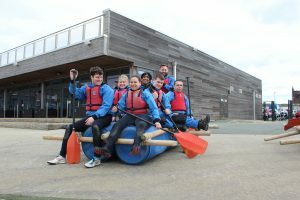 Cllr Ian Moncur, Sefton Council’s Labour Cabinet Member for Health and Wellbeing, said: “Year on year the Aspiring Instructors programme proves that it can change lives with many course graduates qualifying as Outdoor Activities Instructors, Fitness Instructors and Lifeguards. Cllr Marion Atkinson, Sefton Council’s Labour Cabinet Member for Regeneration and Skills, added: “This is a life-changing programme that has helped Sefton residents to increase employability, socialise and get active. “Despite the financial challenges the council is facing we remain committed and use every opportunity we can to build resilient communities in line with our 2030 vision and this is one of the examples of how we are doing it. To find more about the scheme contact Active Sefton on 0151 288 6286 or Sefton@Work on 0151 934 2610. Active Sefton has lined up a raft of fitness activities starting in January to help residents make a jump start on their new year’s resolutions. The ever-popular Couch to 5k programme will return to Litherland Sports Park at 6pm, January 7 where it will take place every Monday and Wednesday for 10 weeks. 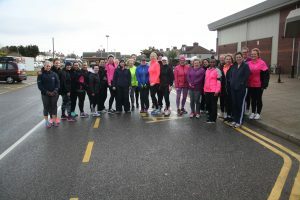 This is the perfect opportunity for beginners to build up their confidence and fitness levels with the goal of running 5k without stopping by the end of the programme. This year, external funding will not be available to support the Couch to 5k programme and therefore participants will be asked to pay a £10 registration fee to cover the 20 sessions. To book a place call 0151 288 6286. 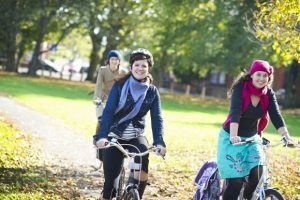 New mums can try their hand at one of Active Sefton’s Active Buggies classes held at Litherland Sports Park, Crosby Lakeside Adventure Centre and Dunes Splash World in Southport. This energising fitness class is a great way for mums to kick-start weight-loss, tone up and meet like-minded people. The session removes the need to find childcare as babies and buggies are both welcome and are all part of the workout. Sessions are held Mondays 11:30am-12:30pm at Litherland Sports Park, Wednesdays 1:30pm-2:30pm and Thursdays 11am-12pm at Crosby Lakeside and Fridays 10am-11am at Dunes. The first session is free then you can buy a loyalty card for £10 for 6 sessions, no need to book just turn up. Those interested in finding their way back into team sports can head to the Back to netball sessions at Chesterfield high school in Crosby from Wednesday, January 23, 6:30pm-7:30pm or Now Netball at Crosby Leisure Centre from Monday, January 7, 8pm-9pm, £3.50 per session. This is the perfect opportunity to explore netball, particularly for those who may not have played the game since school. Cllr Ian Moncur, Sefton Council’s Cabinet Member for Health and Wellbeing, said: “January is the time of year when we start to make decisions to improve our health after a few weeks of enjoying the party season. Active Sefton offers a wide array of sports and activities for all ages and abilities throughout the year, including its popular Be Active holiday camps. To see a full list of activities on offer visit www.sefton.gov.uk/BeActive or follow @ActiveSefton on twitter and Active Sefton on Facebook. Get your skates on – Southport is well and truly set for Christmas! 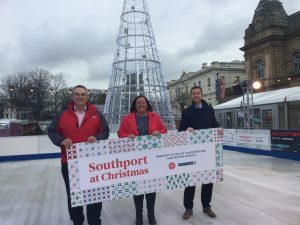 You can book a skating session in advance by visiting www.visitsouthport.com. Tickets can also be bought on the day but are on a first come first served basis so it’s best to buy as early as possible online.